The furious Commendatore challenges Giovanni to a duel. 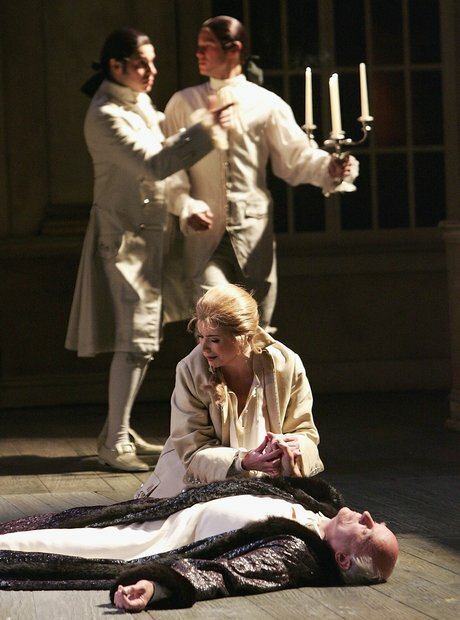 A terrified Anna runs off to find help in the form of Don Ottavio, but by the time they arrive at the scene of the fight, it’s too late - the Commendatore is dead. They vow to avenge his murder. Pictured:John Heuzenroeder (Don Ottavio), Kate Ladner (Donna Anna) and Arend Baumann (Il Commendatore), the Sydney Opera House, 2005.